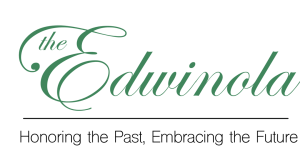 The Edwinola offers a variety of events not only available to our residents, but our wonderful Dade City community as well. View our upcoming events below and make sure to reach out if you have any questions! Open to the community, learn about fall prevention, get your questions answered with an “ask the Doctor” session and more! This will be a great educational event for all. Click on the image to enlarge for more details! Come out and join us for a state of the art program that simulates what it’s like to have dementia. This is a wonderful way to learn more about a family member suffering from memory loss. Click on the image to enlarge for more details! 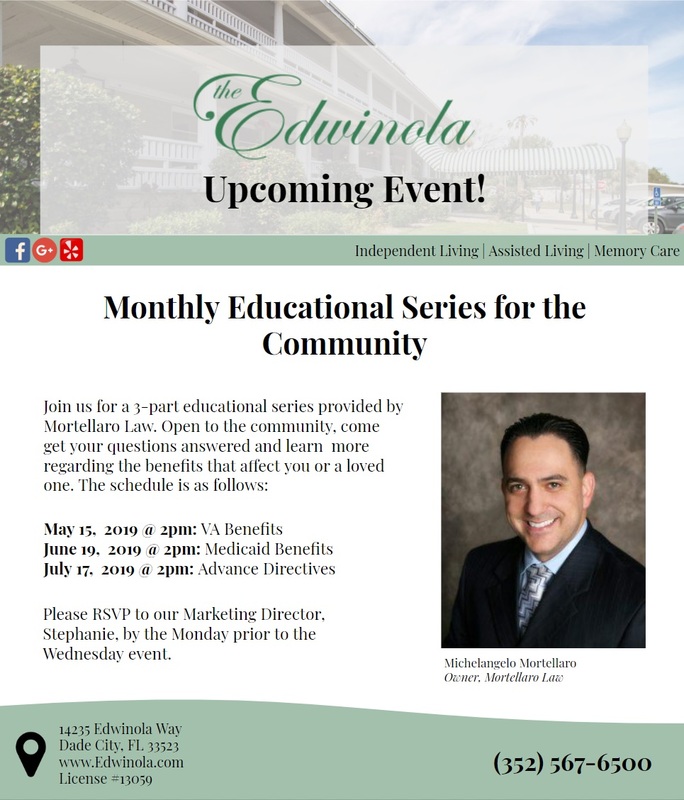 Join us for a 3-part series provided by Mortellaro Law on relevant financial topics that would affect yourself or a loved one in assisted living. Click on the image to enlarge for more details!